The park doesn't allow fireworks so we were spared the cracks and explosions that I normally like. All around us was water--water all around our island; water all around our canoe. It was beyond peaceful as we met a loon preening himself just a few feet away from us and a bald eagle swooping into the lake for his prey. My patriotism for my country lies in adoration for this country's wilderness, for the vast empty places. I think a worship of the wild places is also my religion. What a gorgeous place is the state of New York that Bill McKibben calls the Saudi Arabia of water. And the great news is that we have protected it from hydro-fracking so hopefully most of it will continue to be pristine. Although I didn't write on the trip, my mind is still filled with the sight of water for inspiration. Happily, I will not get the sight of it out of my mind. I hope that everyone will be able to draw nourishment this summer from bodies of water. We live, after all, on the beautiful blue planet. During this cold January, we hope you enjoy this creative take on ice cream, the dessert that is always welcome and brings us back to warm and lovely summer days. Just taste it! There must be no sane person who doesn’t love it. The moment we lay eyes on it, our mouths water and our eyes glow with craving. Its sweet smell makes us swoon with delight and pleases anyone who takes even a quick glimpse. No matter if it’s a kid who is three or an adult who is seventy three, ice cream is the one and only thing that always brings a bright smile to their faces, by the mere sight of it. People forget their worries even if it’s just for a second and are able to enjoy the cool sensation as it touches their tongues. As the cool, decadent ice cream melts on their warm tongues and the flavor spreads throughout their bodies, it’s like a nice, warm fire spreading through the whole body radiating from the core. 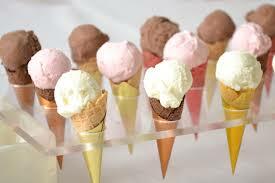 While all flavors of ice cream give you a special feeling inside and bring you small amounts of joy, each one of those flavors has a special story to go along with the consumer. There are many mysteries to ice cream flavors. They are used to express gratitude, friendship, and emotions such as love. The fascinating element about these flavors is that they can express personalities. We can tell a lot about people’s personalities by just looking at the flavor that they like. Flavors like vanilla and chocolate are the most common, and even though they are thought to be plain and boring, they show a lot about the personality of a person. Vanilla, the most popular flavor of ice cream in the United States, tells us that the person is known to have a colorful and a cheerful personality, who likes taking risks. She sets high goals for herself and has the ability to strive hard to achieve a goal. Then there is chocolate! This sweet rich and creamy yogurt with ice and cocoa butter is delicious and is always thought to be a luxurious dessert. It’s rich in flavor and melts quickly on your mouth. This type of personality is creative, charming and lively. Apart from being charming and talented, chocolate-lovers are easily able to express and be honest with their feelings. Personality-wise, they are seductive and alluring, but along with that, they are naive and can be easily tricked into something. A great thing about this personality is that when a chocolate-lover is happy, it clearly shows and the person doesn’t try to hide it. You see, vanilla and chocolate are complete opposites, but they provide the base of each individual flavor. Just take mint chocolate chip, for example. With a vanilla base and mint flavor, green color and chocolate chips, it’s also a mix of the two personalities. A person with this personality is ambitious, confident, loyal and honest. With this personality, mingling is easy. She is a person who accepts everything as it is and deals with it accordingly. Sometimes disputes are bound to happen and with a nature like this, relationships can be difficult. Although this stubborn nature may work for business relationships, it can cause disputes in her personal life. Nevertheless, it is an honest nature, reliability, and dedication that help build long-lasting relationships with family and friends. Ice cream is something anyone of any age can enjoy in any weather. Fans don’t really need a reason to indulge, and every time it is mentioned a person like me would say “sure let's go eat ice cream,” no matter what the time of the day, type of weather, or situation. Every flavor represents a fairly distinct personality with a very unique story. So, which ice cream personality are you? Abha Kulkarni is a high school senior with a great interest in biology. She hopes to get into a good medical school and achieve her dream of becoming a great doctor. She has other talents as well, such as art, music and exceptional skills in cooking. How does Clarisse help Montag become more fully human? 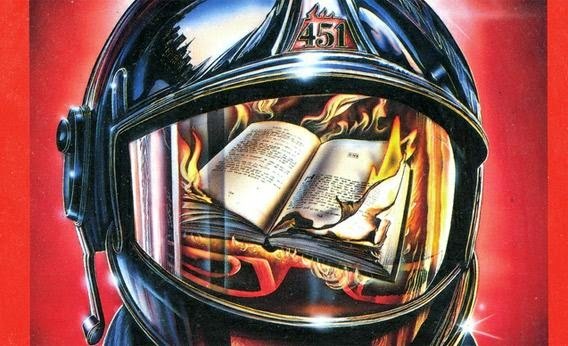 In the novel Fahrenheit 451 by Ray Bradbury, Clarisse helps Montag by letting him realize that he's not being himself as a human but is a person controlled by his society. She does this by having a conversation with him about how people don't realize or observe what's around them. For example, she tells Montag that sometimes drivers don't know what grass or flowers are. Also, when she tells him that there is a man on the moon, Montag realizes that he hasn't looked up in a long time. These actions of Clarisse make Montag think back about himself and rethink if he is truly happy about his job and his life. Clarisse also warns Montag about what's happening in reality by comparing the past time to the present time. She says that she is worried about the children of her own age killing each other and not taking responsibility unlike the time in which her uncle's grandfather lived. She also tells him that firemen used to put fires out instead of starting them to burn books. This is when Montag starts to think about how people would feel when their houses and books are burnt down and leads him to take one of the books to read. Clarisse is the one who encourages him to be truly himself and think or feel however he wants to think. Agnes enjoys helping others and smiling to make people feel better. I'm looking forward to teaching a poetry class at the Sidney Albert Albany Jewish Community Center in April and May, 2015. The four-session class will feature four traditional poetic forms that students will learn by understanding their patterns. Each week I will introduce a new form and a writing prompt designed to illuminate it. Students shall have an opportunity to understand and practice the villanelle, the pantoum, the sonnet, and the very short tanka. Writers will discover that although these names may sound new or daunting, the patterns inherent in each form can help them create the best work they have ever produced! We are planning an adventurous course with gentle sharing and easy models to follow. We will also start with some ice breakers to help students think like poets. The following poem (with Spanish original) by the Mexican poet, Alberto Forcada, is an example of one that pushes the imagination to new heights. 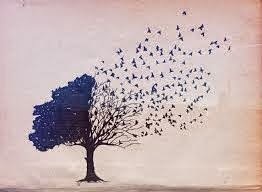 The trees are birds bewitched. They can't lift their feet from the ground. furiously, pluck at their feathers, weep. How can I break this spell? What words should I say? How many times must I kiss them? Los árboles son pájaros hechizados. No pueden despegar la pata del suelo. Una y otra vez aletean con furia. Se arrancan las plumas, sollozan. Cuántas veces tendré que besarlos? I, for one, love reading about the magic and majesty of winter. Deep in frigid January I glance outside to white on white, pale sky dipping into snow on a twelve degree day. I don’t love winter, but I am one of the strange breed who prefers this season to the months of dripping humidity. And so it was with great pleasure that I came upon the gorgeous photographs by Evgenia Arbugaeva in Orion magazine of a town surrounded by tundra, where the average temperature in January is -29 degrees Fahrenheit. Journeying to the far-north Russian town of Tiksi on the Arctic Ocean where she grew up until she was eight years old, Arbugaeva wanted to recapture the enchanted memories she had of a childhood before the collapse of the Soviet Union. Her photographic journey really came to life when she befriended a young girl, Tanya, who served as her model in this place of desolation and wonder. There is Tanya with her husky dog on the first day of summer, wearing her red boots and trapped on an ice floe. There she is, running on the snow after school past a wreck of an enormous, yellow cement block building. In another photo Tanya skips stones from a rusty barge; in another she creates an eerie shadow on an old brick house. 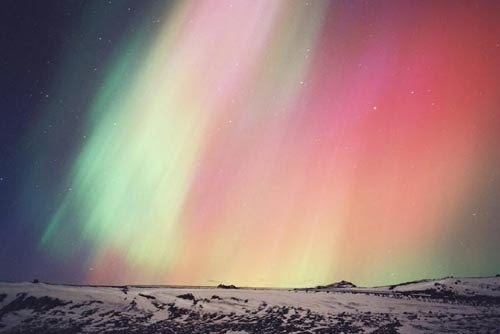 There is her uncle Vanya ice fishing, and in another the glory of a place where for sixty-seven consecutive days in winter the sun does not rise but the Aurora Borealis turns on its violet, green and yellow lights. 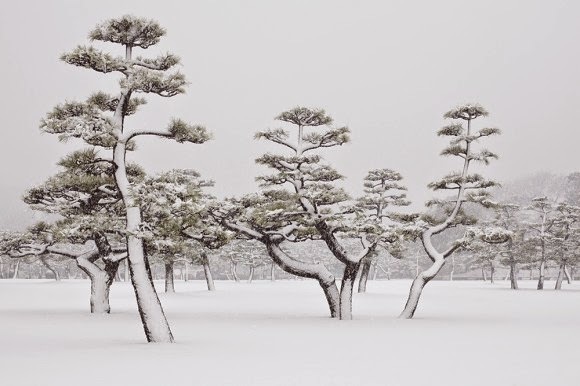 These polar photographs took my breath away, perhaps because I sometimes believe that I live in the frozen tundra, even as climate change shakes the earth and weird events separate winter into cold and warm days. I cherish the days when my Orion magazine arrives in my mailbox, bringing me beauties such as these eleven photographs from the far north land. www.orionmagazine.org . This holiday season we offer a chapter from Herbert Hyde’s memoir, College and Eighth, in which he has retrieved a moving Christmas memory viewed through the eyes of a young boy in a family of ten children. Matt Graves has said of this book, “Hyde’s book is an insightful and nostalgic return to a middle America when home delivery milkmen, horse-drawn bread wagons and 15-cent movies were familiar. His story of growing up poor and white in what was once a vital industrial city is an alarming reflection of the… profile for so many American cities...” Herb Hyde is a retired autoworker, union activist, avid college hockey fan, and local history buff. College and Eighth can be purchased as an e-book from Amazon/Kindle books. Paperback copies can be ordered by contacting the Troy Bookmakers or the author at hhyde@nycap.rr.com. Herbert Hyde’s follow-up memoir to College and Eighth will be released in mid-February to early March, 2015. This chapter is included here by permission of the author. Ma was silently crying at the kitchen table that day because things had gotten so bad. She knew we wouldn't have any gifts under the tree. "What's the matter, Ma?" I asked innocently. Looking up at me with tears running down her cheeks, she smiled, then hugged me and said, "Oh it's nothing, honey, I'm just feeling the blues. I'm OK now." With that she wiped her eyes with her dish towel and went back to drying the dishes. An hour later, Dorothy came into the parlor where we were playing and told us all to make sure we were dressed. "Why?" Patty complained. "Because Ma said we all just got invited to a Christmas party down at the Salvation Army, and Santa is going to be there." Ma had been getting invitations for several years now but never sent us, because that would be an admission that we were poor and that she couldn't provide us a proper Christmas. However, this year was different. She was desperate and truly believed that going to this year's party would be our Christmas, providing us the only presents we'd get. "Really," Brenda said gleefully. She loved parties and loved to dress up, while the thought of seeing Santa Claus sent chills of excitement up my spine. "Can we get dressed up special?" Brenda asked Dorothy. "Nope. Just wear what you have on. It's going to start in about a half hour, so we got to get moving, get your coats on, now!" Of course, we didn't have many special clothes. Come to find out, most of our "new" clothes were actually used clothes from the Salvation Army. As kids, we could have cared less where we got them, because they were always new to us. "Well, I'm not going!" Patty sniped. "I don't want to be with all them kids. I don't want to be like them." Dorothy didn't want to argue with her because she knew time was running close. Patty stayed home in her room that day. We soon began the long trek down the RPI Approach to Broadway, making sure we stayed on the opposite side of the street from Gaynor's Gay spot. At Fourth Street and the Post Office, we turned north into the freezing cold winds and snow flurries that were buffeting the city that brutal December day. Just north of Fulton Street, Dorothy ordered us to stand behind a group of grungy looking kids, dressed in tattered clothes like ours. They had been waiting patiently for the door to open. We shivered in the freezing cold for about fifteen minutes, when a volunteer finally opened the door. She counted each laughing kid as they raced gleefully past her and up the creaky wooden stairs. As Dorothy reached the front of the line, she said, regretfully, "I'm sorry, I think we're full up." I know this poor girl must have felt terrible seeing the sadness in Dorothy's eyes and us little kids shivering behind her. With tears welling in her eyes, Dorothy pleaded, "Can you please see if you can find room for us? My little brother and sisters have been standing in the cold for a long time, and they haven't had a real meal in days." That was true. We had been eating watered-down, pea soup and stale bread for the past week. Ma had made the soup from a leftover ham-bone and a bag of dried green peas Winnie gave her the week before. She knew Ma had nothing left to eat in the house. Being the proud woman she was, Ma refused to add to the tab at Harry's. She was embarrassed because she couldn't pay him what she promised. She had been hoping that Dad would soon be home with some money. But he never came. He'd already been away for a week, supposedly cutting Christmas trees with Frank Lanquid. In past years, he'd sell them from an old ice fishing shanty he kept illegally on a vacant corner lot behind Helficks. Sensing our disappointment, the girl said to Dorothy, "Let me check and see if we can fit you in." She disappeared for what seemed an eternity as we continued to shiver in the cold. Just as we were about to leave, she returned to the door smiling. "We do have room. Quick, come in out of the cold and warm up." With tears of joy, Dorothy replied, "Thank you so much. You don't know how much this means to us." As it turns out, we were the last kids allowed into the party. As we reached the second floor, we heard the raucous laughter of dozens of kids and saw the festive lights shining out into the darkened hall where we were standing. As we warily entered the room, smiling volunteers dressed in the soldier-like garb of the Salvation Army and Santa hats handed each of us a colorful candy cane and a small cardboard box, decorated with snowflakes, a wreath, or pictures of Frosty the Snowman with hard candy inside. On the table were bowls filled with snacks--popcorn, pretzels and leftover candy corn from Halloween. Christmas carols were playing and a huge Christmas tree stood in the corner with piles of presents underneath. We had made it just in time because, as soon as we took our seats, the leader asked us all to stand and bow our heads as he led grace. The volunteers then began serving dinner. Of course, this turkey dinner wasn't as "delicious" as Ma's but it sure did fill the void in our empty stomachs. Just as we were finishing our meal, out came small dishes filled with colorful red and green Jell-O, topped with whipped cream and a cherry for dessert. That was yummy! After all the plates were cleared away, the sound of sleigh bells were heard and in came a jolly old man about six feet tall with a fake white beard, a pillow stuffed into his bright red costume, black leather belt and shiny black boots. He was accompanied by several colorfully dressed volunteers that looked like the Keebler Cookie elves. Each of us made our way forward to the front of the room to sit on the lap of this over-sized Santa. "I'm scared," I said to Dorothy as we got closer. "Oh, don't be afraid, Herbie. He's got a nice toy for you, I bet. You’ve been good, right?" Dorothy questioned with a smile on her face. "Oh, yes, I've been good," I fibbed. Knowing that I had done a few things that might get me disqualified, I hoped Santa would overlook them. Luckily, he did. When I was forced to sit on his lap and near tears, he immediately asked me that very question. Scared to death he wouldn't give me a toy, I was unable to speak or look him in the eye. I was frozen in place. Sensing I was petrified, he gratefully said, "I've heard from a good source that you've been pretty good this year." That's when he handed me a wooden train with a big smoke stack, huge wooden wheels and a coal car attached to the back of the engine by a tiny metal hook. I was thrilled to death as I jumped off his lap, running back to Dorothy, my train clutched safely in my arms. That Santa was so smart. He knew exactly what I wanted for Christmas. In turn, each of my sisters received little girl dolls with colorful dresses. They were so happy to have their wishes granted, just like me. It was amazing how Santa knew exactly what each of us wanted, even this gangly Santa. Strangely, it didn't feel quite as cold as we raced back home that afternoon, eager to show Ma what Santa had given us. We rushed into the kitchen, pushing and laughing to be the first to show Ma our goodies. She just stood there with a big smile on her face. Grateful to see us so happy, Ma hid a sense of melancholy that hung over her spirit. This was the first time I think she really doubted her worth as a mom, heartsick that we might not have food in our bellies or toys under our tree. Having to send us to that party broke her heart. Ironically, as bad as Christmas was destined to be that year, our Grandparents did manage to help out again and brought toys and clothes for under the tree. Later that night they'd make the long trek back to Bennington, secure that Santa and Mrs. Claus didn't forget us. Dad was able to sell some Christmas trees that year, and even gave Ma money to buy a ham for Christmas dinner before he managed to piss the rest away getting plastered down at Sticklemyer's Grill on Christmas Eve. But, at least Grandma and Grandpa were there, with Grandpa laughing and telling us jokes. A few hours later, we all awoke to a horrible crashing sound coming from the parlor. We rushed in to find Dad laughing on the floor, the tree tipped against the parlor window. He had staggered into the parlor and fallen on the tree, knocking it partially over and breaking some of the ornaments and lights. Tinsel was strewn everywhere. Of course, he lied to a horrified Ma about what happened, blaming our poor cat Mittens. He said he was trying to pull Mittens off the tree when he and the tree fell. Of course, Ma didn't buy his story and quietly seethed with anger, wondering how he could do such a thing on Christmas Eve. "Oh, I brought a case of bananas for you," he slurred, pointing to the broken cardboard box, bananas scattered across the floor. She knew he was plastered, but with all us kids awake at one o'clock in the morning, she didn't want a fight that would ruin our Christmas. Instead, she had us all help her straighten up the tree and put back the ornaments on our "Charlie Brown" tree. Once we had picked up the mess of tree and bruised bananas, we spotted all the presents that had been hiding under the tree. Now realizing Santa had come, Brenda and I screamed in unison, "Santa came, Santa came!" We then rushed to find our presents. That was the earliest we ever opened our presents. Even with all the mini-disasters we encountered, that Christmas stands out as one of the best I can ever remember. The SAT essay— a fully-developed, comprehensive essay written in 25 minutes— is one of the most daunting tasks that a college-bound student will face. Many educators feel that the task is unfair because, they argue, students will never be asked to produce a timed essay that quickly in real life. I disagree. Students face countless midterm and final exams where they will need to do just that— construct an airtight opinion and argue or explain it forcefully and quickly. Nevertheless, we all feel that the task is onerous. In class, I ask students to practice creating substantive body paragraphs to illustrate or prove their thesis statements. 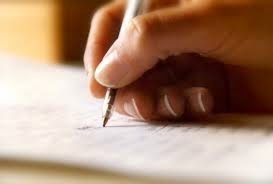 By breaking down the complete task into a short introduction and limited conclusion, students will have sufficient time to put considerable energy into their body paragraphs. I tell them that the meat, their detailed examples, must be the important focus of their energy. They write nine-minute, timed body paragraphs a few times in class, as well as for homework, to demystify and deconstruct the chore. From time to time, I will post examples of excellent SAT essays, written in just 25 minutes. Bravo to our wonderful student writers! Emily Risch is our debut writer of this task, and we are delighted to showcase her example of strong, interesting, richly argued prose. Conscience has been referred to as a more powerful motivator than money, fame, or power. I disagree with this principle because it has been demonstrated on many occasions that people strive to achieve success for their own personal benefit, more often than not ignoring their conscience. Even Thomas Jefferson believed that people are generally selfish and often only look out for their own self-interest. Two examples that prove this point are the reign of Louis XIV and Benedict Arnold’s betrayal of the Americans in the Revolutionary War. Often called the Sun King, Louis XIV inherited the throne of France at a very young age. Since he was too young to assume proper rule of the country, he used a Regent, his mother, to make decisions in his place. Once he came of age, it was almost as if he still wasn’t ruling over the French people. Instead of listening to what his conscience told him to do, Louis put France in an enormous amount of debt when he paid for the construction of the royal palace at Versailles. Louis used the palace as a public display of his prestige and power. In order to ensure the loyalty of his feudal nobles, he invited a few every month to stay at the palace and serve him. Louis did very little to benefit the French other than constructing a massive tourist attraction and creating an opportunity for national credit. Although Louis XIV was an extravagant spender, he didn’t betray his countrymen like Benedict Arnold did. At the beginning of the Revolutionary War, Benedict Arnold appeared as a promising commander who had potential to carry American infantries to victory. However, as the war progressed and the Americans’ chances looked slimmer and slimmer, Arnold began to question his loyalty. Surely the poorly uniformed, diseased, and malnourished troops were enough to convince him to leave his troops and join the British. Instead of maintaining integrity and conscience, Arnold wanted the power that would come with a victory, the power that he was sure the Americans would not achieve. At the Battle of Saratoga, he left his troops and joined the British forces, much to the satisfaction of his Loyalist wife. In the end, Arnold’s treason backfired when the Americans were victorious and he never tasted the power he so desired. Throughout history, important figures have shown a selfish tendency to ignore their conscience to seek money, fame and power. Most often, the evil in a person takes over his or her conscience when prestige presents itself. At Big Mind Learning, our mission is to create confidence and focus in students of all ages. Our teachers provide the kind of leadership and inspiration needed to develop a love of learning. Through one-on-one tutoring sessions, group seminars and school programs, Big Mind Learning delivers the kind of motivation that drives students to success.